I think one of the most jarring transitions of the project comes between Veneer and Veni Vidi Vicious. The slamming, loud guitars following such mellow meditative music is a bit much. 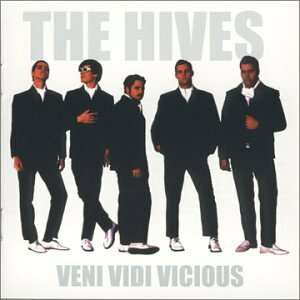 I have to be in the right mood for The Hives. I’d never imagine such messy, loud garage rock coming from Sweden. But I guess I should, since Sweden is also one of the black metal hotspots, which is more disturbing music. This is early 20s music for me, and it probably stayed there – I can see the appeal, but I don’t think I’ll be feeling the urge to bust this out to listen to any time soon.